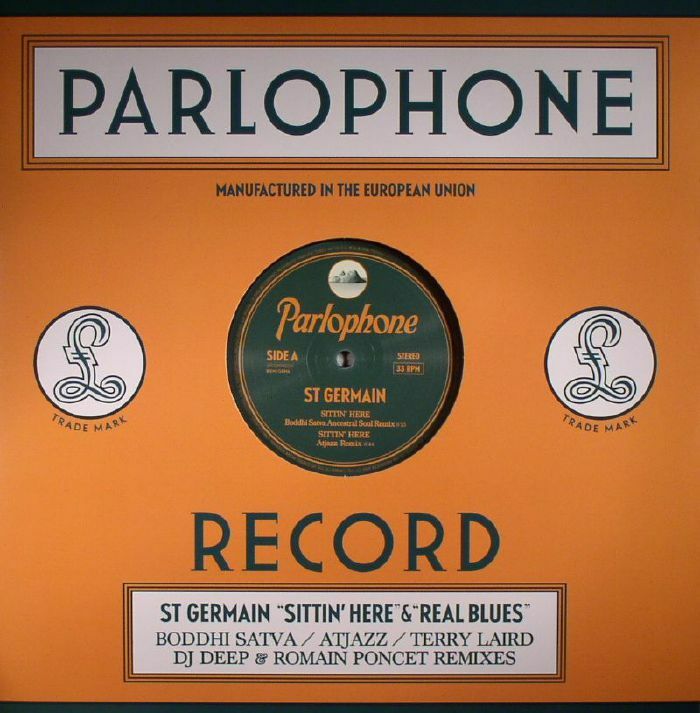 ST GERMAIN Sittin Here (remixes) vinyl at Juno Records. 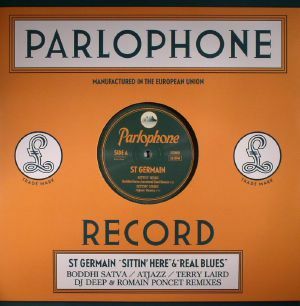 The new single by Ludovic Navarre aka St Germain is "Sittin' Here" taken from his last self titled album released last year. The original's spiritual Afro groove was sublime but gets some pretty sweet remixes by the likes of Boddhi Satva; whose rendition stays true to the original's vibe but injects it with another authenticity which is fantastic. The always impressive Atjazz gets onboard and provides his signature deepness to the track which is one of the highlights. 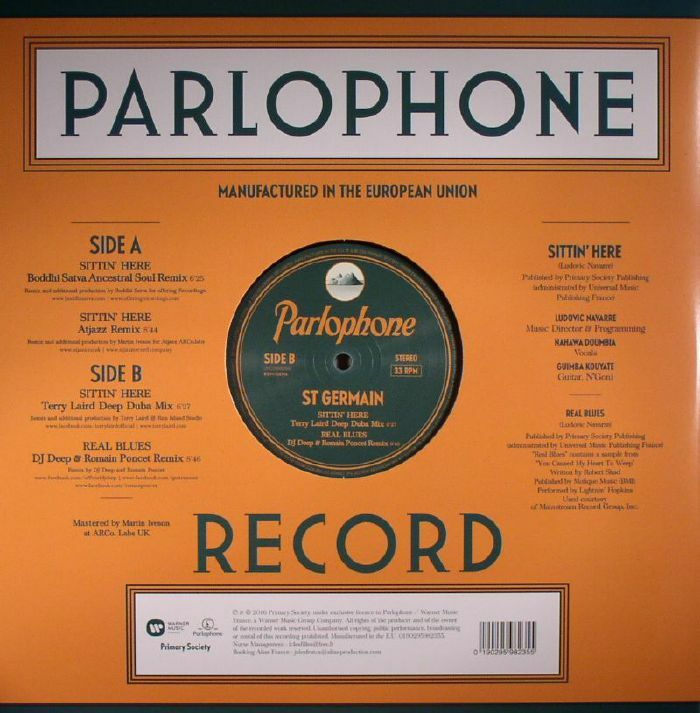 On the flip another track from the album "Real Blues" gets a terrific remix by French powerhouse DJ Deep & Roman Poncet. Their exotic and powerful remix is reminiscent of their Sergie Rezza material and just sublime!